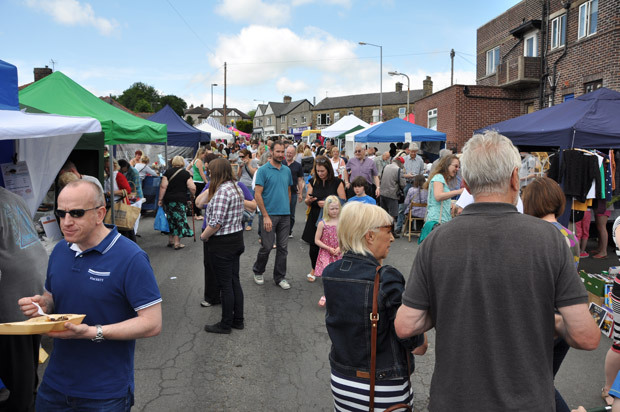 Crosspool Street Market takes place each year on Selborne Road as part of Crosspool Festival. The market includes a mix of stalls selling food, cakes, plants, art, crafts, jewellery, clothes and books, plus local school children perform music and dance. Last year the deputy prime minister even popped by! If you’re interested in booking a stall at this year’s street market on Sunday 29 June contact Chris on batchelor.cl@gmail.com or 0114 266 7842. The organisers would be particularly keen to hear from more people wanting to host a food stall. This entry was posted in crosspool, crosspool festival 2014, food and tagged food stalls, street market. Bookmark the permalink.